This speech was given by Mr Kofi Annan on 7 September 2017 at the ‘Making Waves’ conference in Afsluitdijk, the Netherlands. I can’t think of a more symbolic and inspirational location to promote innovative solutions around water, food and energy than the iconic Afsluitdijk. The dam is a masterpiece of Dutch engineering and a symbol for the country’s centuries-long fight against flooding from the sea. Early on, Dutch engineers understood that one would have to work with nature rather than against it by simply holding back the ocean. 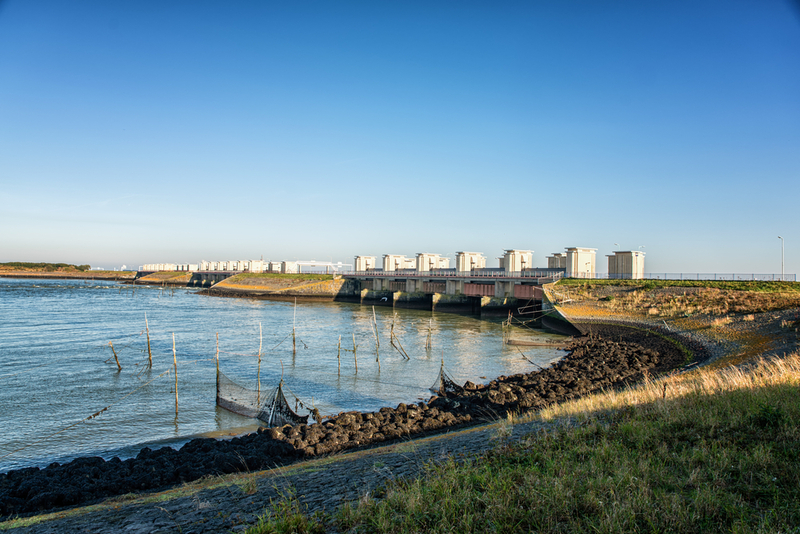 This innovative dam guarantees the safety of land and people while allowing for the rise and fall of the tides, which is crucial for the ecosystem to function normally. Its construction also led to the creation of a major fresh water lake that guarantees drinking water supplies, and a huge area of very fertile land for agriculture from the former sea bed. Above all, the dyke – together with the UNESCO World Heritage Site, “Wadden Sea”, to its North – has become a major tourist magnet, contributing to the socio-economic development of the regions nearby. The Afsluitdijk is bringing substantial benefits in all three sectors that we are discussing today – water, food and energy. Stresses on these precious resources are sharply increasing due to global population growth, rapid urbanization, and changing diets driven by economic growth. It is estimated that by 2030 the global population will need at least 40% more water, 35% more food and 50% more energy. But our planetary boundaries are already reaching their limits. For we are exploiting finite resources at an alarming rate and causing huge damage to our environment. Our predominant model of development is encouraging wasteful production and consumption patterns. The challenges we are facing are huge, but fortunately we are not starting from scratch. With the Sustainable Development Goals and the Paris Agreement on Climate Change, world leaders have adopted a compelling vision with ambitious goals. The role of governments is vital in implementing those commitments. But it is not governments’ responsibility alone. It requires cooperation and partnership between every sector of society. No one has all the answers, but let me set out a few priorities as I see them. First, the complexities of today’s challenges call for a holistic systems-approach rather than siloed approaches. Too often policies to manage water, food and energy resources are developed and implemented in isolation when we know that they are interlinked. Decision-makers have to foster policy coherence, and enhance coordination and collaboration among diverse actors to ensure that co-benefits and trade-offs are considered and that appropriate safeguards are put in place. Second, we must seize this moment to change the way we produce and consume energy. As a global community, we have the technology, finance and ingenuity to embark on a low carbon transition. Shifting towards renewable energy sources is not only helping to avert climate catastrophe, but also creating new opportunities for investment, growth and employment. It is also the most promising way to provide access to modern energy services to the over 1.2 billion people worldwide who lack access to electricity. Another advantage is that clean energy contributes to preserving our water ecosystems. Unlike fossil fuels, most renewables such as solar, wind, or geothermal energy consume very little to no water. Both governments and businesses have to accelerate the transition to low-carbon energy systems by investing in renewables, prioritizing energy efficient practices, and developing and deploying clean technologies and related infrastructure. The Afsluitdijk for example is a perfect location for exploiting the benefits of such synergies and I am glad that the dam is already serving as a trial site for tidal energy and osmosis energy. Third, we need to explore how the water, food, and energy nexus can support agricultural development and food and nutrition security. Agriculture accounts for 70% of the global freshwater withdrawals, and more than one quarter of the energy used globally is expended on food production and supply systems. Especially in water-scarce regions, we need robust strategies to end wasteful water use and protect water availability to maintain agricultural production and avoid food price volatility. As the global demand for food keeps growing, we need smarter policies and greater investment in sustainable agriculture to increase productivity, particularly in the Global South, and promote innovation across the entire value chain to contribute to more efficient resource use. Above all, we need new emphasis on climate-smart agriculture and food systems. This is a promising way to enable farmers to adapt to changing weather conditions and growing seasons that threaten food production. I was impressed when I heard that Dutch researchers recently have found a way of cultivating specific crop varieties to thrive on salinized soil. Climate-smart solutions – such as the use of salt-, drought- and heat-tolerant crops and efficient irrigation systems – are critical for food and nutrition security. Nowhere is this more important than in Africa, where climate change is already turning vast areas of productive land into dust bowls, creating widespread hunger, mass displacement, and conflict among local communities and states. According to the World Bank, climate impacts could push an additional 100 million people into poverty by 2030, if we fail to take serious action now. Governments have to act quickly and implement the Paris Climate Agreement, which is a huge opportunity for the world to create a sustainable future. It is also important that richer countries provide financial resources and technologies to help poorer countries cut emissions and adapt to the impact of climate change. Specifically, developed countries must deliver on their commitment to mobilise $100 billion annually for the Green Climate Fund, which pays particular attention to the needs of highly vulnerable societies, in particular Least Developed Countries, Small Island Developing States, and African States. Major emitting countries should also put in place credible carbon pricing and taxation systems instead of spending billions on fossil-fuel subsidies. This will lower carbon emissions effectively and unlock huge economic opportunities. But allow me to stress that by its very nature, climate change is a cause that should unite us all – governments, businesses, investors, science and civil society. We clearly have an ambitious agenda ahead of us, but I am confident that we can turn aspiration into action and build a more prosperous and sustainable world. Your leadership, actions and ideas must play an important role in this effort.